Some of the many, many hummingbirds photos I took this year. 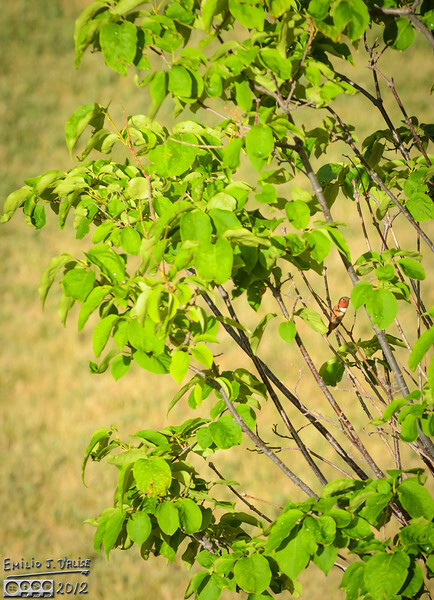 This Rufous is sitting on a tree next to the house . . .